The Zombie Central Team are a small but dedicated group of misfits dedicated to revealing the truth about Zombies to the world. We operate from a high-tech purpose built Zombie-proof bunker cleverly disguised as a garden shed located deep in suburban Adelaide. Annalise Fredricke Schwarzblut was previously employed as beautician at the city morgue but found it was a dead-end job, and decided to join the Zombie Central team to meet people and travel. Annalise is a stunning former beauty queen and talk show host who migrated from Europe to Australia as a teenager. 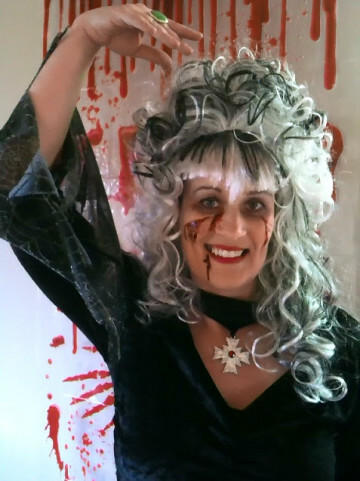 As well as a PHD in Difficult Makeup and Hair Design, Annalise has also written the often referenced Zombie Fashion Trends through the Centuries, published by Mills and Boon in 1998 ISBN 9780714838002. 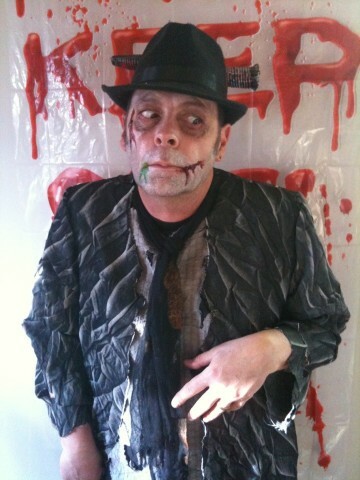 Privat Detectiv Otto Abendröth is our resident Zombie authority. Herr Abendröth held the position of GruppenüberFührerMeister at Schwarzwald Civil Polizei for some 25 years before retiring in South Australia. Otto now operates the private investigation business Das Dectiv specialising in undercover research and recovery. 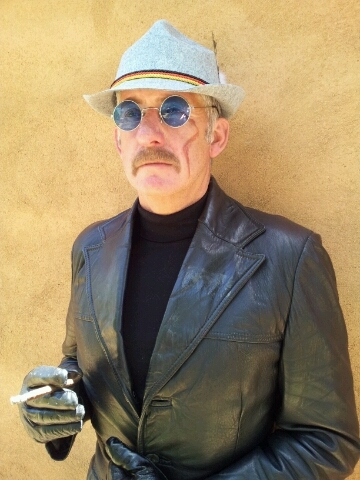 Ottos’ perpetually gloved hand hides a German made wooden prosthesis. Herr Abendröth will not speak of the event in 1963 when he apparently cut his hand off to prevent Zombie infection after a gruesome incident in the outskirts of Altötting in Bavaria. A former diplomat and synchronised swimming coach, Petrov has now dedicated his live to exposing the Zombie conspiracy to the world.